When you have worked in marketing for as long as I have, you develop a preference for getting things done quickly. At the start of my career I was a “roll up your sleeves and get it done” type, concerned with quick results. If you take a look at the graph below - I was the guy always sailing along smoothly on the blue line. 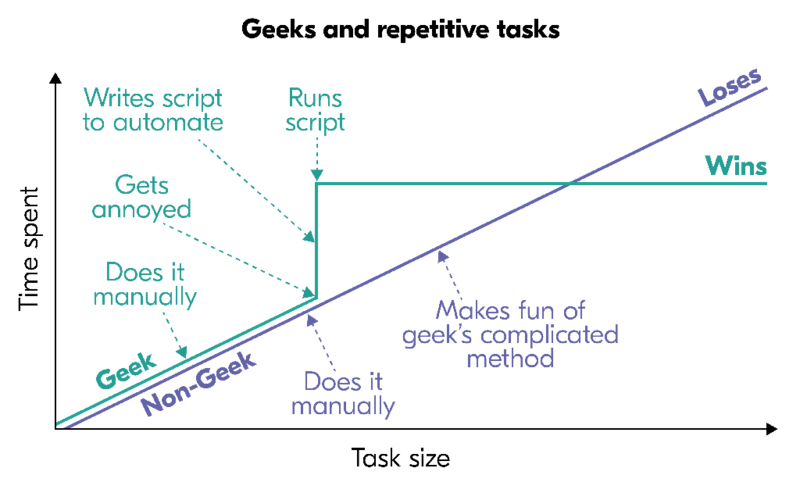 Luckily for me, I eventually came to my senses and switched from the workhorse mentality to full-blown “geek-mode”. Over time I found myself thinking ‘I should have automated this’ more and more often. Sales automation has fast become easier to use for non-techies like me. As I explored more technology designed to automate repeatable and manual sales and marketing processes - I eventually found myself on the red line below, with no plans of turning back. Allow you to find and close more deals! In most sales situations you lose more deals than you win, and a “no” often means “not right now”. Good salespeople have a habit of setting up a reminder for the next check-in. However, this reminder may be set to as far as 6 or 12 months in future, and then last thing you want is to be forgotten in the meantime. 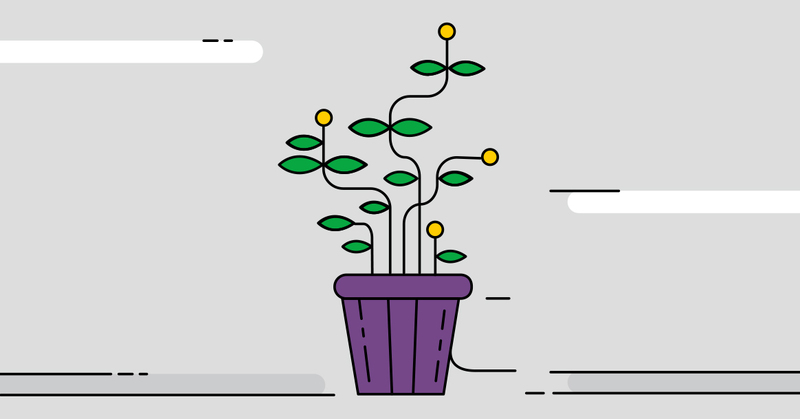 Once you’ve selected a method to define the “Lost but follow up” segment, you can use this event to trigger the lead nurturing sequence. As tempting as it may be to bundle them into a subscription for a template drip campaign, I strongly suggest sending personalized follow ups. These emails will be a lot more memorable, and the personal connection you develop may be the difference between losing the lead and recapturing a potential lifetime customer. An automated follow-up sequence can easily be set up in lots of different ways. 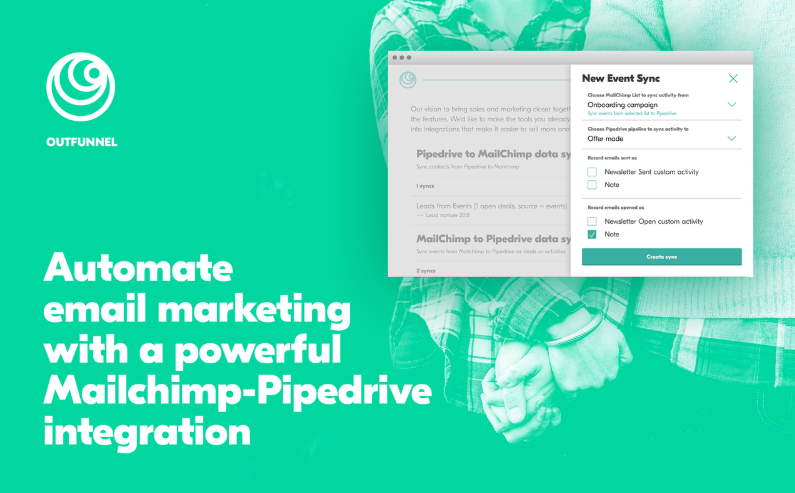 Pipedrive’s native integration with Autopilot, Outfunnel’s integration with MailChimp or combining any popular email tool via Zapier are just a few of the ways to easily keep those leads warm. If you’re in sales or marketing, meetings take up a huge chunk of your day to day. But before you even get to the meeting, you need to go through the motions of finding a time that suits both you and your meetee’s busy schedules. Finding a suitable slot across time zones and individual timetables is always a hassle, or at least it was a hassle before I started using Calendly. When setting up Calendly you connect your existing calendar (i.e. Google Calendar) and define the slots where people can schedule meetings with you. For example, you can choose to only allow people to book times with you in the afternoons with the exception of a particular weekday where you take calls all day long. Once you pick your free slots, you will receive a unique link to add to your emails and email signatures. 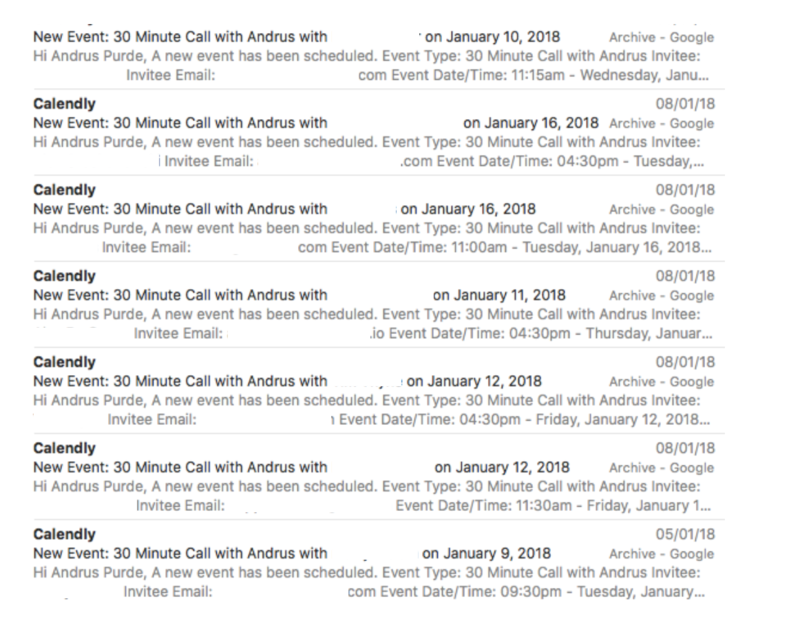 When people book a slot (I’ve erased the contact name of my meeting attendees in the screenshot below), it automatically appears in both you and the other party’s calendar along with all the relevant details. While the free plan can be helpful, the paid plan offers more features and a Zapier connection. With the latter, you can automatically have a new Pipedrive activity created once someone has scheduled a meeting. However, you don’t need to use an extra tool to integrate your calendar and simplify meeting setup. Pipedrive’s built-in Scheduler works brilliantly to save you time and streamline your meeting setup. The Scheduler is a great way to keep in touch with your clients at a time that's convenient for you both. You can also create and name a regular or recurring event if you want to schedule a monthly or quarterly check in with a customer or lead. Once you've set up the events, you'll get a link to share with your customers. Clicking on the link copies it to your computer's clipboard, allowing you to paste it in an email (or message, or social media) to your customers or prospects. Customers who click it will get a list of available times that you are available, displayed in the timezone of their choice. If they wish to select a new timezone — for example, if they are traveling — then they only need to click on the timezone information and select their preferred timezone. 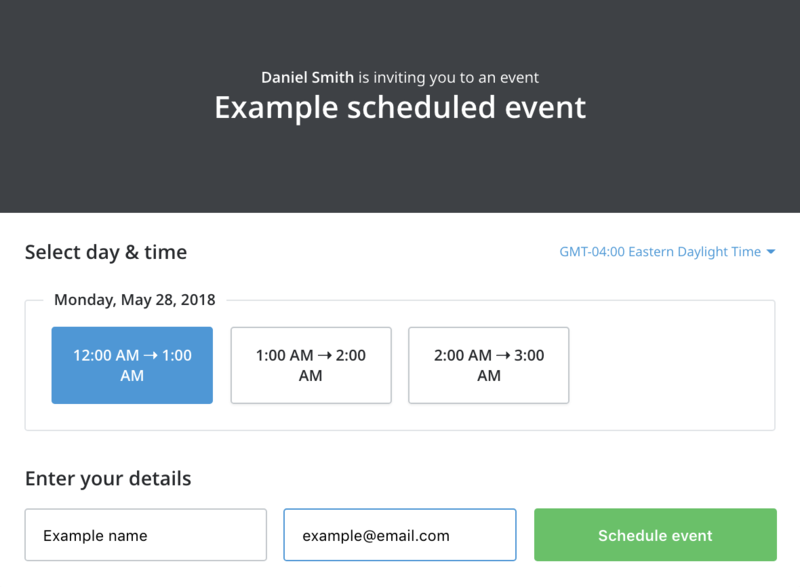 They can select a time from the available options, enter their contact details, and Pipedrive will automatically reserve that time-slot for that customer, create a Person contact in Pipedrive for them, create an associated Pipedrive activity for you, and inform you of this via email. That way, all you have to do is attend the meeting, and close that deal! Isn’t it annoying when you receive an email to buy product X shortly after completing the purchase? Or what about when you’re in the middle of a heated conversation about contract terms with a company, then you receive a generic email which advises you to “book a demo”? Sometimes the best marketing is no marketing. There’s a fine line between a sales email and spam. This is often crossed by sending messages at the wrong time. Sales Automation provides tempting time-saving benefits for you and your team - but you need to think customer-first. If you leave your automation unchecked, you might be in the awkward position of introducing a product to a lead who’s been in and out of meetings with you for weeks! 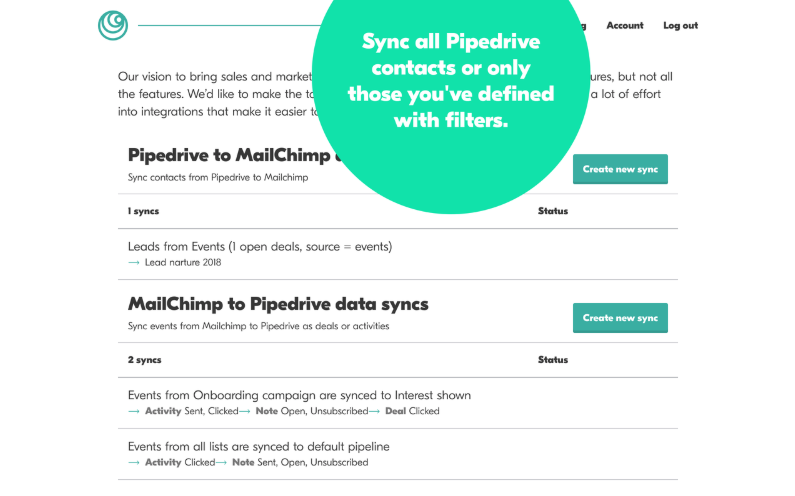 Bonus tip: You can automate the exclusion of people at certain pipeline stages or statues with tools like Outfunnel or PieSync that synchronize your pipeline leads with your current marketing tools. Historians have looked at fallen civilizations from the Old Kingdom of Egypt to Mayans to Abbasid Caliphate in order to understand what caused their fall. The consensus is that failure happens when new leads are manually added into their CRM system! Jokes aside, the truth is that with the automation tools and integrations available to you, there’s no need to add deal information into Pipedrive manually. If new leads arrive via business cards, there are plenty of business card readers that connect to Zapier, and thanks to the flexibility of this incredibly tool, can also be connected to Pipedrive. The best part about all these practical tactics? They’re so quick to set up and incredibly affordable. 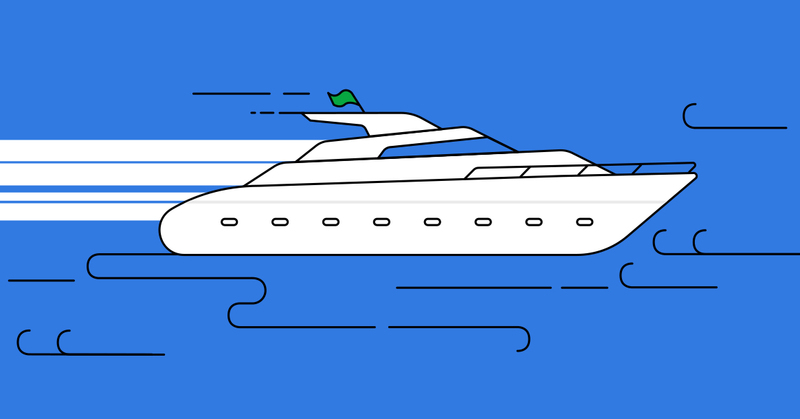 There’s no need to invest in elaborate tools that do a little bit of everything when you’re working with an agile and customizable CRM like Pipedrive. So here’s to using time productively, more sales, and a lot less spam! Who Would Win The Sales World Cup Final?